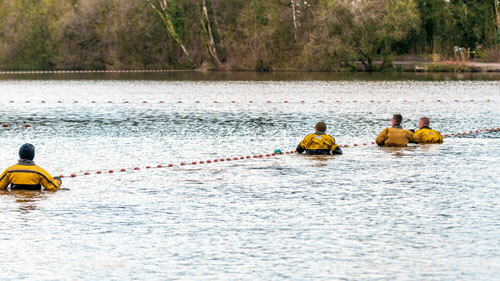 Phase one of the netting of Shakerley Mere was carried out last week. 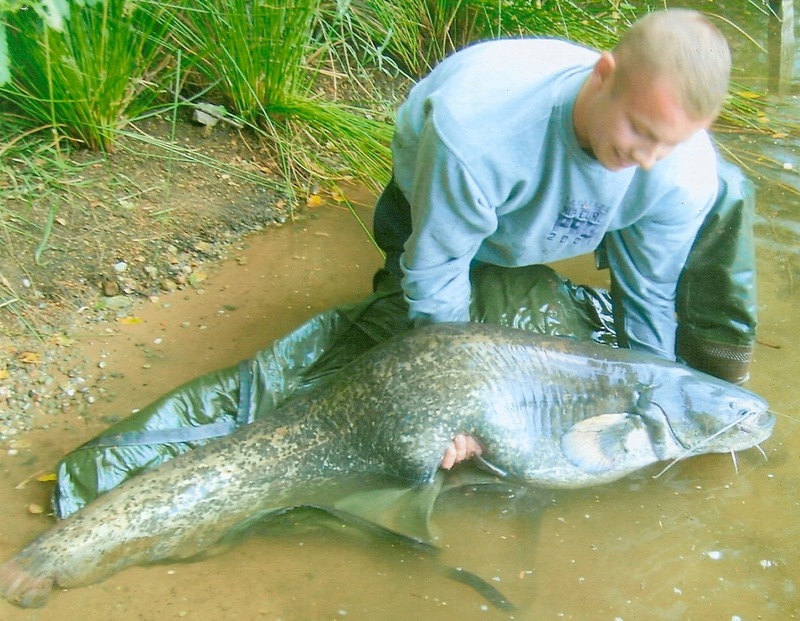 Two Silver Carp were removed (32lbs and 31lbs) together with a Wels Catfish ounces over 44lbs, which was moved under licence to Wrinehill. 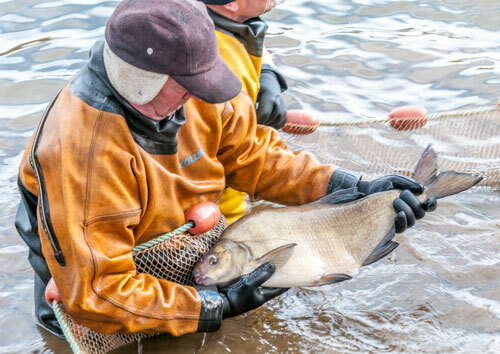 The netting also captured a few hundred pounds of large bream, some of which would be double figures at the right time of year. 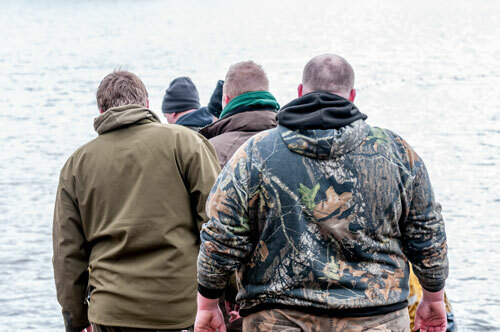 Those of you who were there would have seen just how hard the team grafted in what is a considerable expanse of water and especially so given how cold a day it was, so well done and thank you to everyone who participated. The purpose of the exercise was to show CEFAS that we have taken meaningful steps to remove those species that should not be in there. To that end, the day was a success and we will make a further effort to net it again in tandem with the EA team. The pool is known locally as Betley Tip, not because it was a landfill site but because it was once used as a dumping ground for waste ash and cinders. It was initially excavated for sand in the early 1800’s until the 1830’s when the Crewe part of the West Coast Main Line, as it is now known, was constructed. It was then used to deposit ash/cinders from the steam trains and from furnaces located at Crewe Railway Works. A railway line ran around the perimeter of the site so that trains laden with ash could easily be emptied simply by opening the side doors of the carriages and shovelling the ash directly into the pit. Over time, the ash mounted, eventually reaching some 60 feet in height above ground level. In 1948 the pit was purchased by a quarry company. The deposits were extracted and used for a variety of purposes including linings under houses, running track surfaces and football pitches (I’ve still got the marks on my knees from the days when I used to play on cinder pitches). The pit was sold to the current owner in 1991 and ash extraction continued until 2002/3. The pit constantly filled with water from underground springs and a large pump was needed to remove this as the pit tended to fill quickly. Before the site was closed large lumps of fused cinders were returned to the pit, perhaps providing the snags that anglers are now finding. 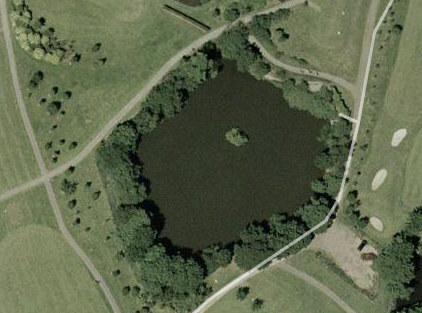 Trees were planted under the guidelines of the local council but a large piece of extraction machinery was left on the pool’s island as a reminder to others in years to come of the pit’s history. 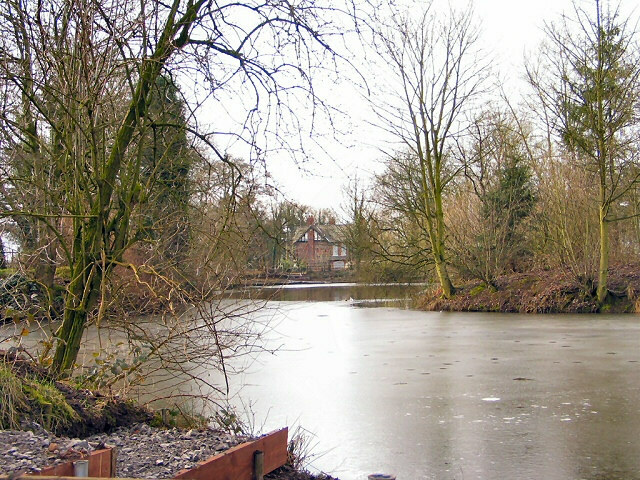 Lymm Angling Club took up a lease on the water in January 2010. 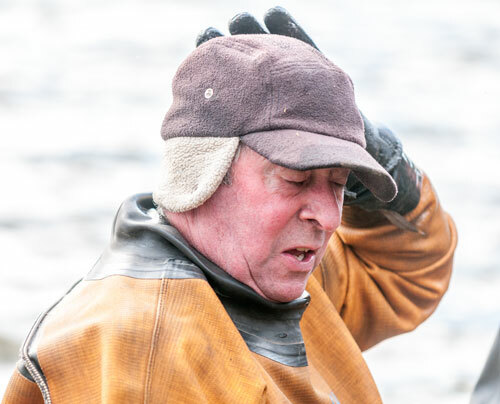 Prior to this the water was unfished, except perhaps for the odd poacher and guest of the owner. 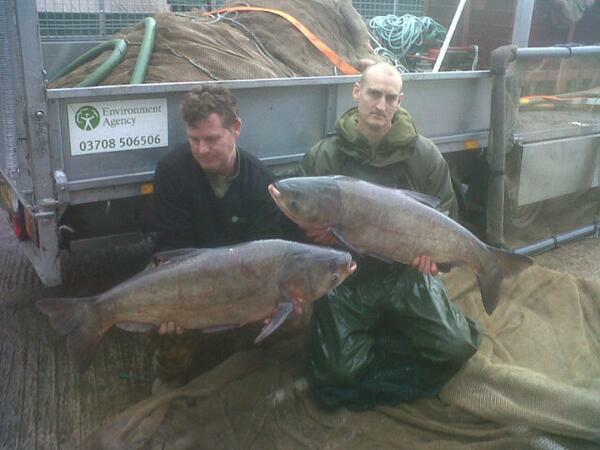 Stocks wise, the owner reports putting around 3,000 4″ to 6″ carp (mostly commons) in the pool across 2005/6. 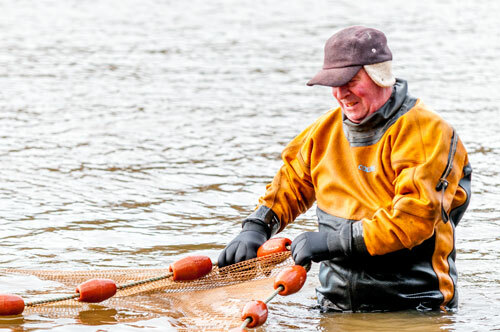 Most of these fish are thought to have fallen foul to cormorant predation but the survivors are known to have already reached the 13lb 8oz mark. In addition to these fish, others have been stocked apparently without the knowledge of the owner. 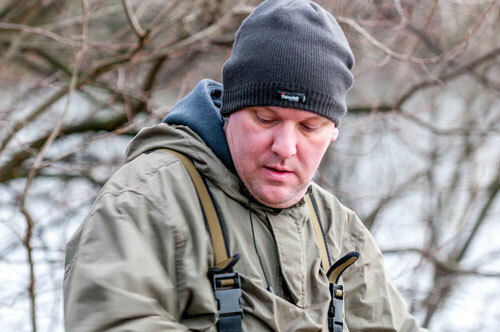 These include ghost, mirror and common carp, known to be well in excess of 20lb, tench to at least 7lb and perch and bream, the top weights of which are currently unknown. Not long after taking over the water the club added a further stocking of some 30 carp (mirrors, ghost and common) into the low twenties. The richness of the water should hopefully mean it will not be long before it produces its first 30lber. Founders Pool is a small tree lined pool with an island feature near the middle. 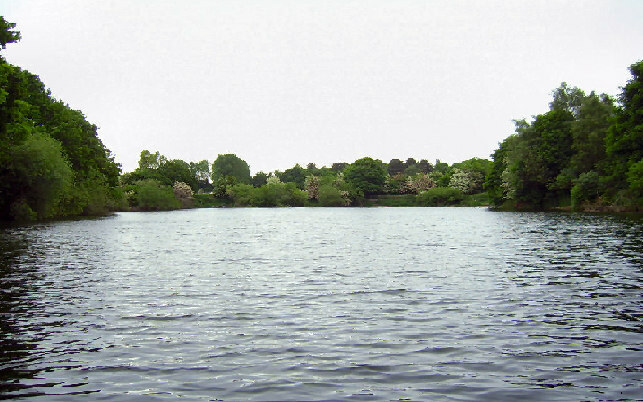 The pool is located in the grounds of Antrobus Golf Course and is a popular venue with Carp anglers due to the numerous large Carp that reside there. Catfish are also present and were originally stocked in 1991 along with another small stocking in 97-98. Some of the original Catfish now weigh in the region of 30lb’s and they have thrived in recent years with many small kittens now being caught. The venue also has a lot to offer the pleasure angler with a good head of silver fish and Perch, The pool was once renowned for being a specimen Roach venue with consistent catches of 2lb plus specimen’s, however these don’t seem to be targeted so much in recent times but are still believed to be present. Perch to over 2 lb also reside in the pool so it has something to offer everyone. 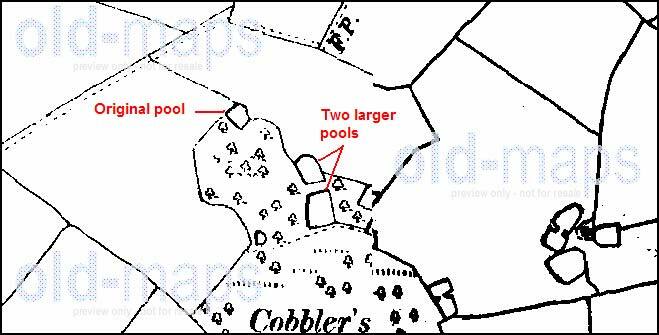 Founder’s pool was not always like this, if we look back through the archives the oldest map we can find is dated 1846 and is supplied by Cheshire county council. The land approaching Founders was known as Cobbler’s Gorse and was owned by Sir Edward Antrobus. today and two slightly larger pools existed to the right of the Car Park. 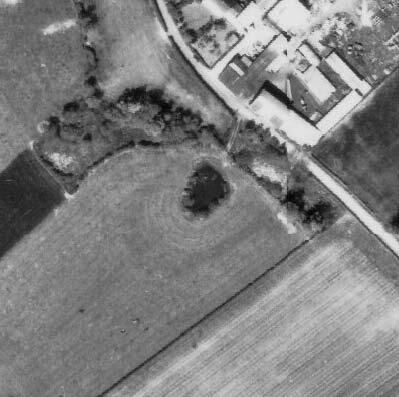 The two surrounding fields were known as Lower Black field and Pit field and were used for growing Oats and Pasture land for animals to graze on. with two larger pool’s to the right of where the car park is now situated. This is backed up by a map dated 1911. 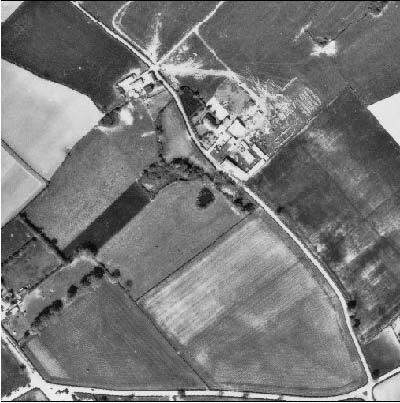 An aerial view taken of the area in the 1970’s shows some of the woodland had been cut down to make more farm land, but Founder’s is still smaller than its neighbour. 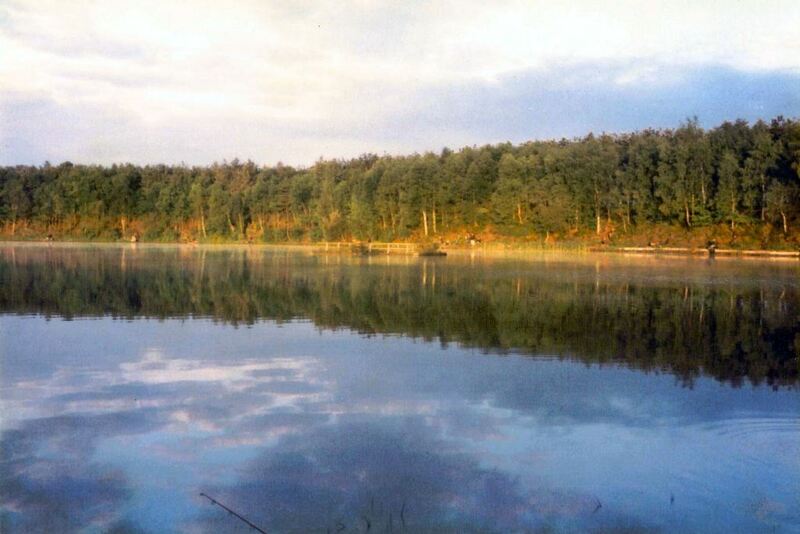 It was around 1982 when Founders was dug out and it remained a bit of a muddy pool for a few years after that, In those days you could fish from all four sides as there was no out of bounds area and a few carp up to 6lb’s were being caught. The Golf club was not created until 1992 which was when the one side was closed to fishing. It reopened briefly in about 1994 but has remained out of bounds for several years now. 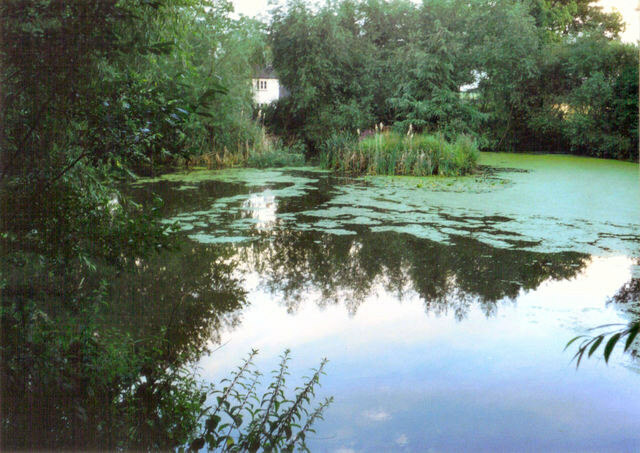 The following picture was taken by Lymm AC member Carpsid and shows Founders Pool in August 1988. It is looking towards the mound from the bank opposite the car park. It used to be one of the best pegs in those days but now it is where the over hanging trees are and where most people cast to. In the 27 years or so this pool has been in existence as we know it; it has developed into a prolific water with some stunning inhabitants. Heather the Leather being on of its more famous residents topping 20lb+. With the help of the members and the club hopefully the pool with continue to develop and provide future generations of anglers with a fantastic place to fish. Written by Jason Webb (Mancman) on 15/09/2009 with the help of Cheshire council & old-maps.co.uk. Special thanks to Carpsid. 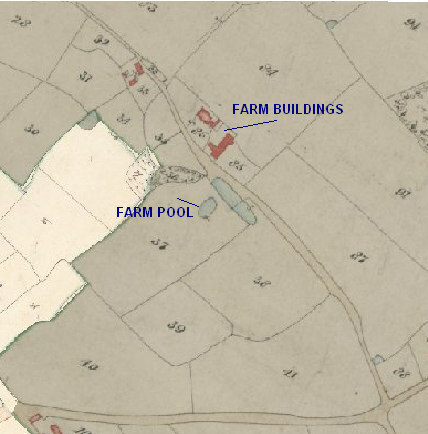 Farm Pool is a small mature pool situated between Foggs Lane and Knutsford Road in the pleasant surroundings of the Cheshire countryside. It is a small peaceful place and if you’re looking for tranquil surroundings with a great day’s fishing then you won’t go far wrong. 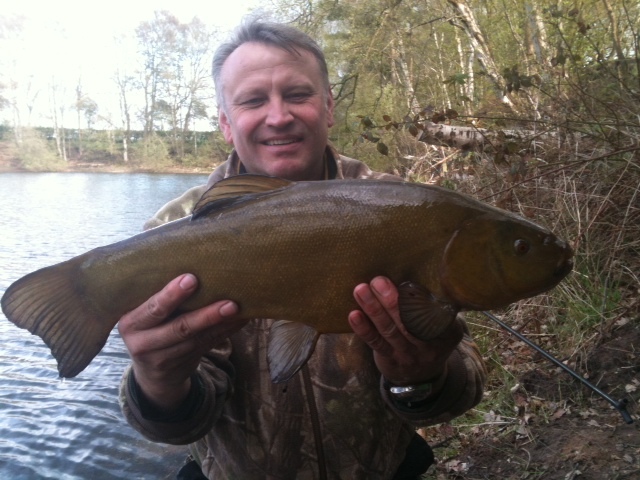 It is stocked with plenty of silver fish and small Perch, tench to 4lb and a few Chub. 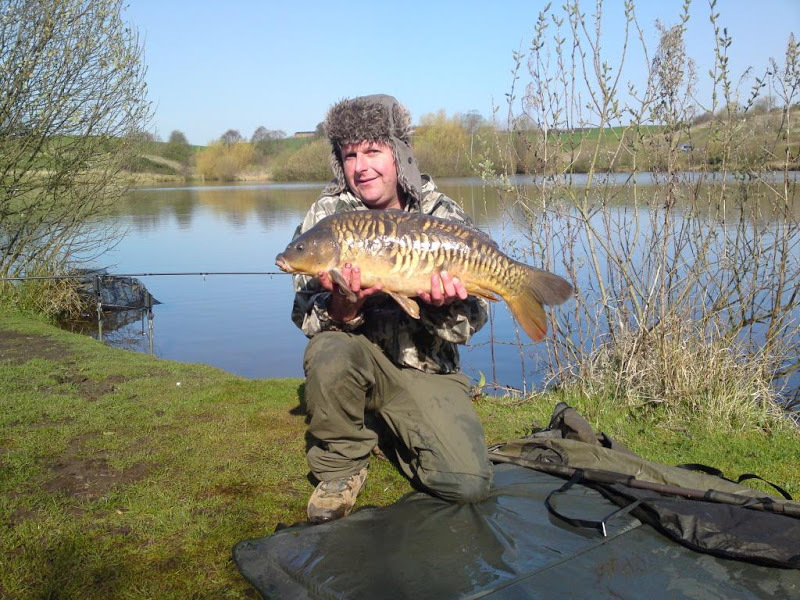 Carp to around 15lb’s have been caught and it is also home to Lymm A.C’s record Perch which weighed in at just over 4lb although it has eluded captors for several years now. On previous nettings eels in excess of 5lb’s have also been netted. The pool has been around for a long time, a lot longer than most people think… Several stories have circulated that it was created by a land mine explosion during World War II, but unfortunately this story has no truth. with some of the surrounding fields used to grow Oats and Wheat. 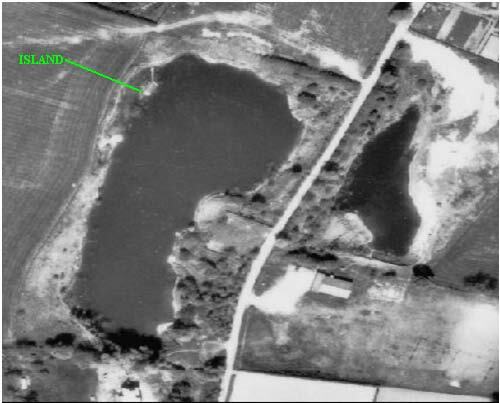 The second pond was part of a drainage system but now there is very little evidence to show it was once there. 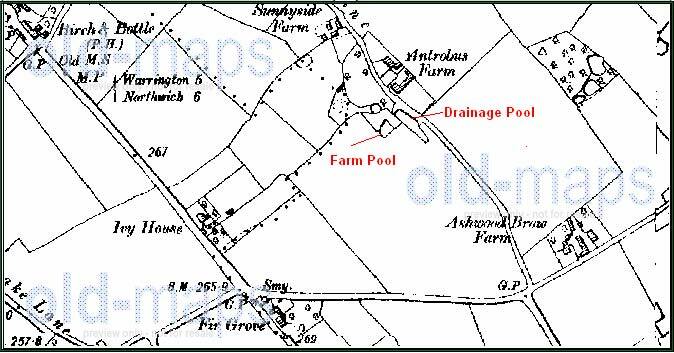 Tithe Map dated 1846 supplied by Cheshire Council is the oldest map currently available showing both Farm Pool and the drainage pool. 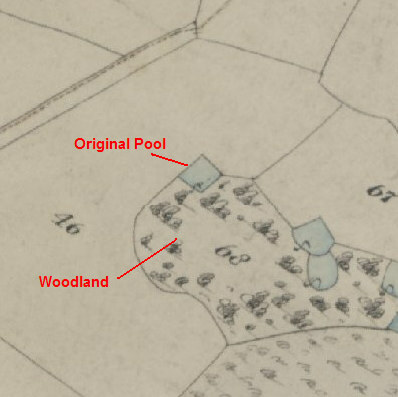 A map from 1910 below shows both pools still on the same site. The date the drainage pool dried up is currently unknown. 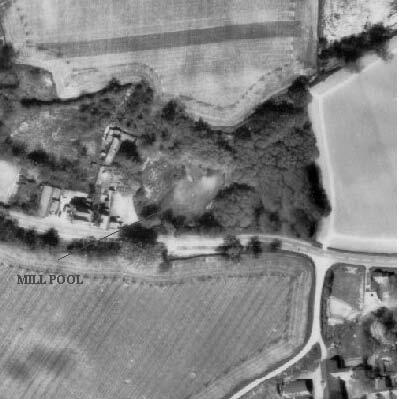 Aerial photograph’s of the area taken around 1970 show only Farm Pool on the site. This little pool has been around for a long time. Please respect it and its surroundings when you visit it. Always close the gate after you and enjoy the mystery of the place like the many people before you have. Written by Jason Webb (Mancman) on 13/09/2009 with the help of Cheshire Council and old-maps.co.uk. Whitley pool is located just off Village Lane in the area known as Higher Whitley in the tranquil surroundings of the Cheshire Countryside. It is regarded as one of Lymm Angling Clubs outstanding venues and is known as a pleasure and runs water providing anglers with non stop action when the fish are on the feed. It is a beautiful tree lined venue of about 3 acres in size with very deep margins, undulating contours and deep holes of up to 25 feet in places. The deep margins are usually the hot spots accounting for most of the thousands of Crucian Carp which the water is famed for. They average around the 1 ½ lb mark but larger specimens are caught along with the many Brown Goldfish hybrids which have been banked at over 4lb in weight. Catches of 50 or 60 fish in a session is common and with the pool holding thousands of Mirror, Common and Ghost Carp it makes for a very entertaining days fishing. 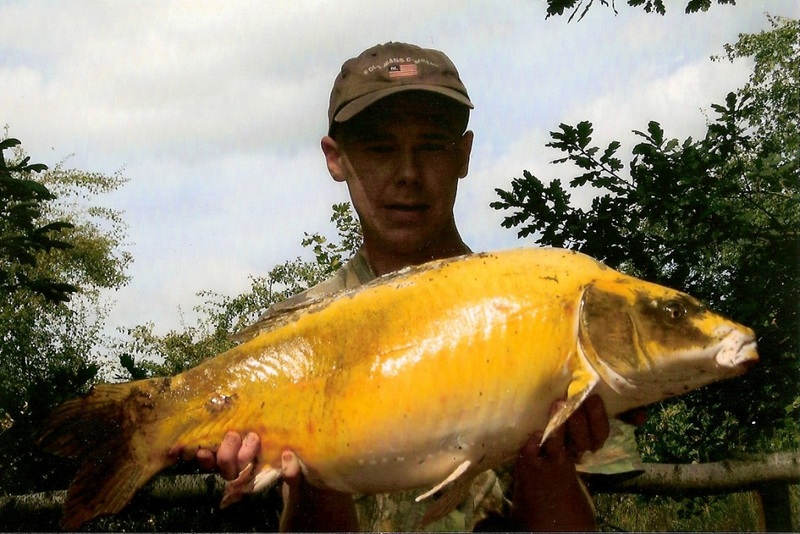 record Mirror Carp was caught weighing in at just over an impressive 32lb. Around the same time a 29lb Carp was also banked by a very surprised and shattered angler who battled to land it on his pole! 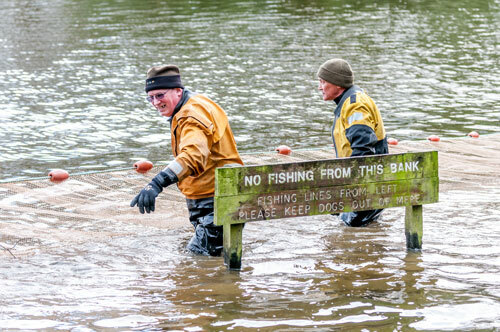 Unfortunately these fish have not graced the banks since and they are unlikely to inhabit the pool any more. 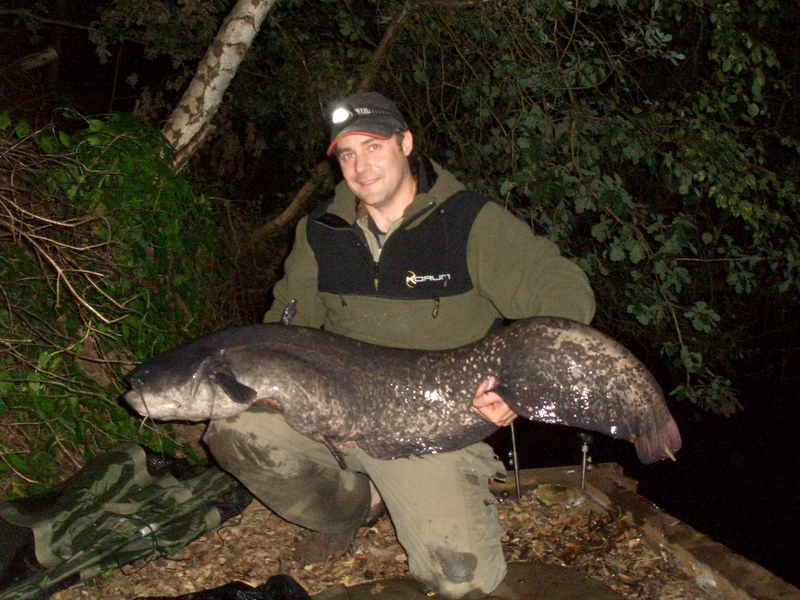 Whitley pool is also home to Catfish, The first stocking of these was back in 1990/91 when 10 were introduced to the water. 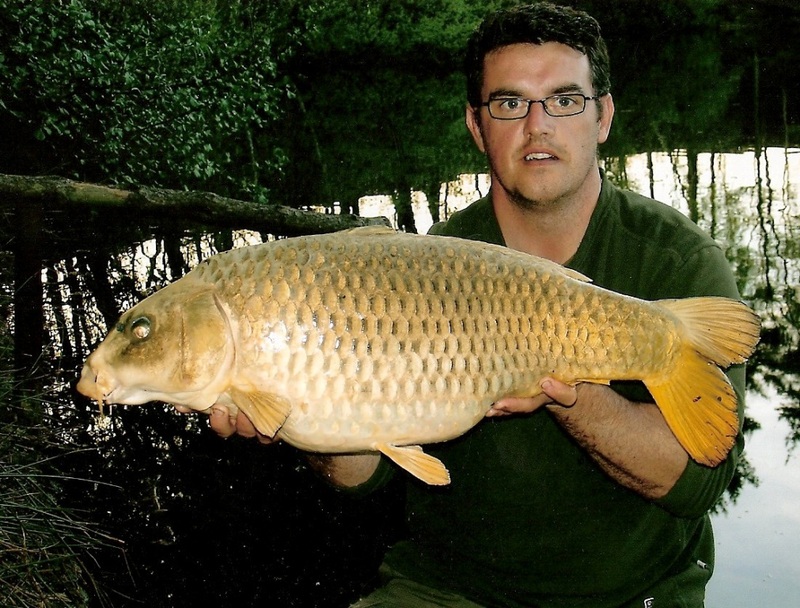 These are still alive and well today and although they rarely get fished for, occasionally they surprise the unsuspecting carp angler and fall to a meat bait. 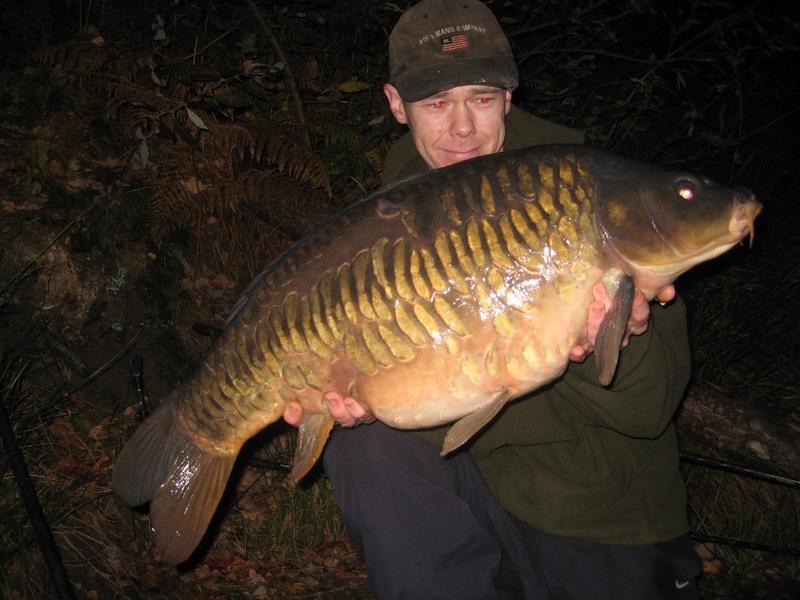 Recent captures have been around the 20lb mark but a 30lb fish was reported a few seasons back. Tench put in a fairly frequent appearance with the average weight around 3lbs, the occasional ornamental golden Tench is also caught with weights up to 2 ½ lbs. Other species present are Roach, Rudd and Perch but these are in very small numbers. 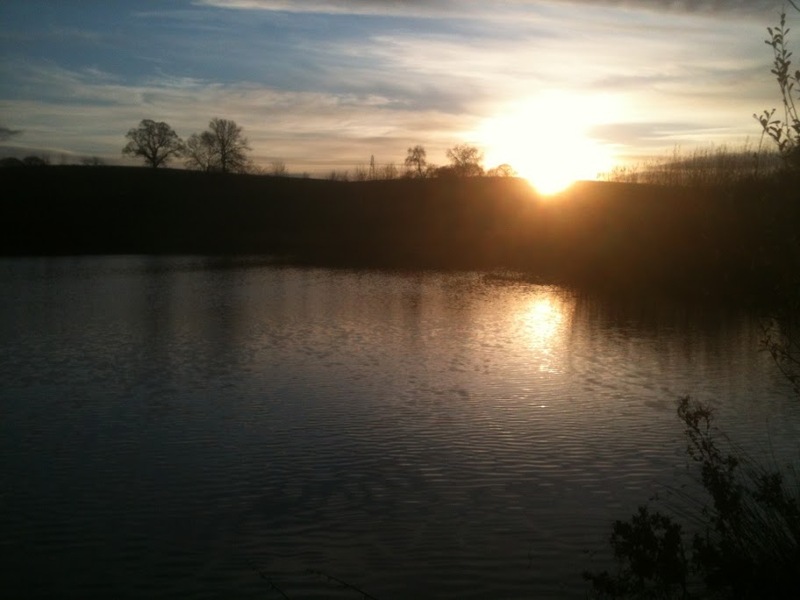 Whitley is without doubt a fantastic runs and pleasure venue and provides prolific sport with a variety of fish to target. The ambiance of Whitley Pool captured by Lymm AC member Carpsid. commissioned in December 1085 by William the Conqueror, who invaded England in 1066. It refers to Whitley at that time as a meadow, land under plough and a wood. Unbelievably back then the population of Whitley was just two people, and one of those was a mere Serf. The total population of Cheshire at this time was just 1524 people. The Domesday Book also recognises the two parts of Whitley now known as Higher and Lower. Back then they were originally called Over Whitley and Nether Whitley. It wasn’t until 1837 that this changed to Whitley Inferior and Whitley Superior. This then changed again in 1936 to Higher and Lower Whitley as we know it today. From 1100 to 1500 AD farming and crop cultivation took priority in the Whitley area, A total of three mills were built and large areas of land were sectioned off for growing crops, but as far as records date back the area where Whitley pool is today was used as Pasture land back then. Possibly unsuitable for cultivation due to the high sand content within the soil. Between the years 1642 and 1648, Cromwell’s army passed through Whitley on several occasions. In 1643 Sir William Brereton set out from Northwich to attack the Earl of Derby at Warrington. Sir William’s army was routed at Stockton Heath and tradition has it that many of Cromwell’s army who died on the Heath were buried at Hill Cliffe and Budworth. 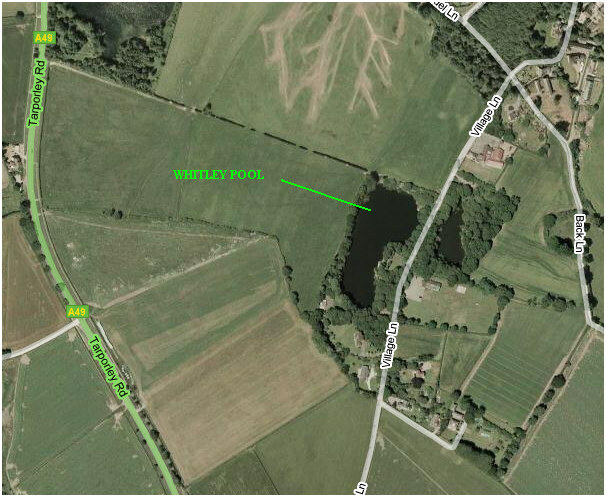 Cromwell’s army camped just across the way from Whitley Pool, just off the main A49 road as it is today. There were a few pools on that side back then which are no longer there today. Cromwell used the pools to supply the army’s horses with water. 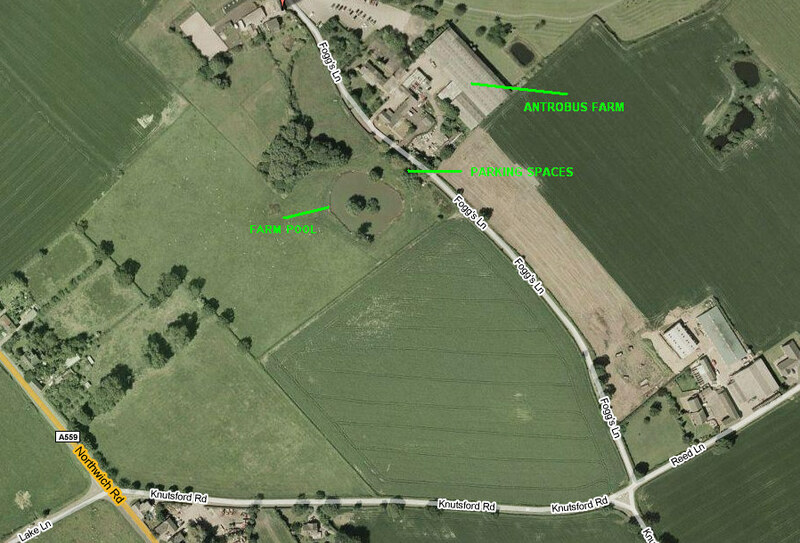 The farm now called Crimwell Pool Farm was originally called Cromwell’s Pool Farm. The name was changed due to the fact that new owners who came to live at the farm to breed Shire horses couldn’t name them Cromwell’s as that name was already in use, so they changed it to Crimwells. With Cromwell’s army slaughtering the Royalists and anyone else who opposed them, civil war and chaos had engulfed the kingdom and a group of devout Christian people didn’t like the way the country was being run and with what was going on… These people got together and this was the birth of the Quakers also known as “The religious society of friends”. They started out around 1650 and Whitley was a leading area for them. Their numbers were very high in the area and as their following grew their movement expanded and they started to come up against a lot of opposition. Many folk didn’t like what they were preaching and the Quakers were persecuted, imprisoned and some even hanged for preaching their views and beliefs. Some of their more noted campaigns were for the abolishment of the slave trade and for women’s rights amongst other causes. The Quakers graveyard next to Whitley is named Frandely Burial ground and is one of the oldest in Britain with graves dating back to 1657. The wall around the graveyard is classed as a Grade II listed monument and dates from around 1680. The oldest readable headstone is from the 17th Century and is that of a John Starkey of Stretton dated 1686, the most recent headstone is dated 1990…. recorded by Cheshire County Council. 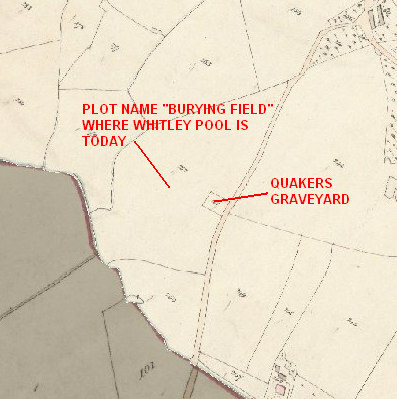 This indicates that some of the 200+ graves may have been in the field that we now know as Whitley Pool… . With this in mind it’s strange that most members which visit Whitley Pool can’t help but feel the eerie mysterious ambiance associated with this venue. It’s the kind of place where some members feel they are not always alone, even when they appear to be the only angler fishing. 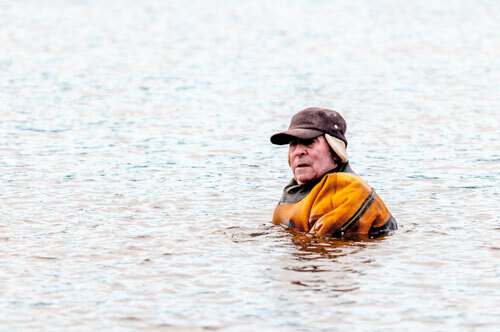 In the early 1990’s a bailiff reported finding a member cowering in the car park after he apparently saw a figure walk out of the pool itself. Another committee member around the same period reported seeing a Quaker in full ritual dress, moments later the Quaker had disappeared… The police have also had several reports filed of a large cat seen in the area, a member of the club also reported seeing it to the police.. More tales circulate regarding Whitley & Village pools than any other Lymm AC water and fishing after dark is not for the faint hearted. Below is a map from 1910. There is still no sign of either Whitley or Village Pools at this time. with water. The picture below was taken around 1974 and shows a barren pool with patches of sand everywhere. Water levels are well down and there were hardly any tress growing around the pool back then. The small island in the top right is clearly visible along with other areas that are now submerged. Lymm Angling Club was formed in 1948 but it wasn’t until around 1971 when Whitley was added to the Lymm club card. A depth survey of the pool was carried out by committee members in 1972 and sometime later the club purchased the venue for the grand sum of £30. 1982 was the saddest year for Whitley Pool. Ammonia leeched into the water through springs from an old chemical landfill site and severely contaminated the pool. Occasionally today after a heavy down pour a yellowish cloud can still be seen at the village end. When it first happened in 82 it was a catastrophe, many good fish died and an immediate rescue operation was launched to rescue some of the remaining fish. The water level was pumped right down and about 15 Carp between 11lbs and 18lbs were rescued and put into a holding area at Lymmvale. These were later released into the vale without authorisation by a member at the time who was subsequently caught and banned. Whitley is home to some of the freakiest fish in the North West, Several are deformed or mutated in some way probably due to the Ammonia pollutant. Two such fish are shown below courtesy of Lymm AC member Spamkid. such proportions leaves it open to debate as to whether any of the larger specimens are still in there. 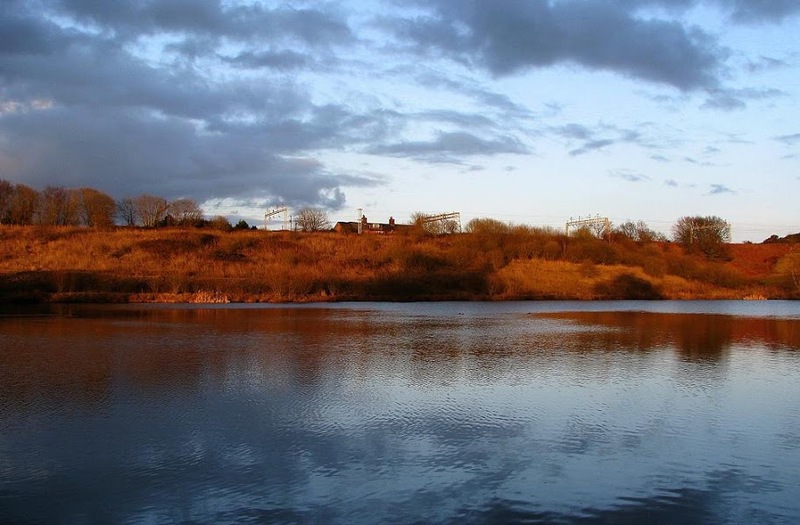 Whitley Pool is a fantastic fishery shrouded in mystery and abound with tales of one thing or another. 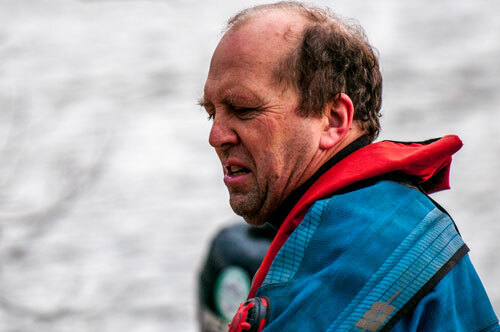 In its short 40 year history it has been through a lot, yet remarkably it has bounced back to the top offering prolific sport and is up there amongst Lymm AC’s best waters. All the hard work put in by work parties over the years has made a massive difference to this pool bringing it up to a very high standard and it’s a credit to all those involved that they have helped to produce such a great fishery. Written by Jason Webb (Mancman) on 08/10/2009 with thanks to Cheshire County Council. Information researched through various Internet sources, Cheshire Guardian Archives and Lymm AC members. 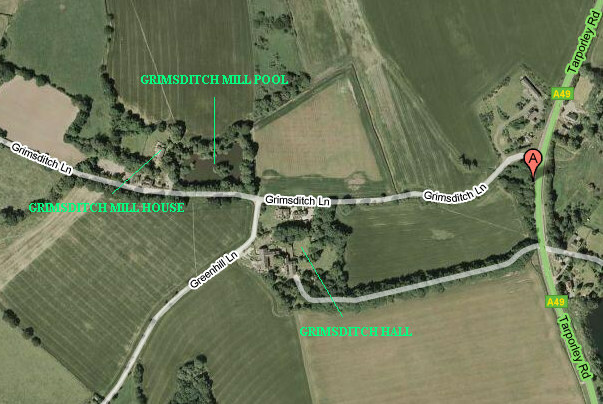 Grimsditch Mill Pool is located a short distance up Grimsditch Lane just off the A49 in the pleasant surroundings of the Cheshire countryside. It is arguably one of Lymm Angling Clubs most picturesque waters, nestled amongst the fields and trees it offers the pleasure angler a great days fishing in stunning surroundings. 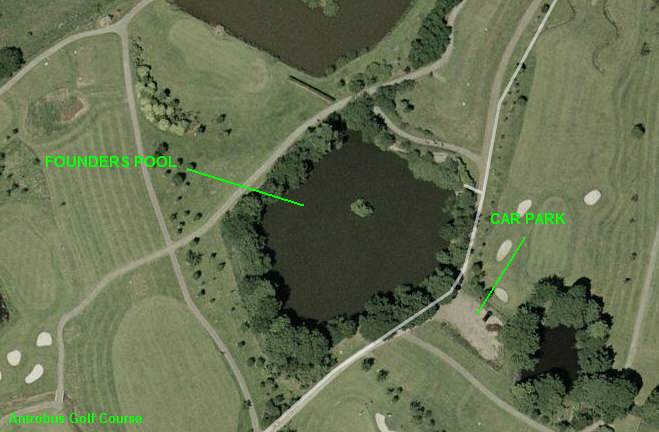 The pool about 1 acre in size has some great features which include islands, reed lined margins and overhanging trees. The water is predominantly known as a silvers water although many people have been taken by surprise by some of the larger residents that inhabit the pool. 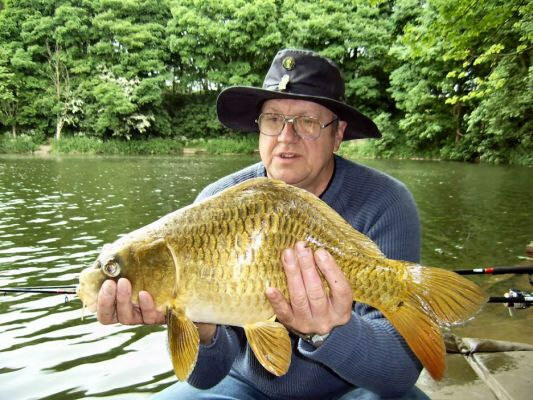 Over the last few seasons with careful fishery management the water has made good progress and now holds a good stamp of fish with regular catches of Roach up to 1lb, Bream and Tench up to 4lb and many lower double figure Carp. In recent years a few Mirrors and Commons to just over 20lb have also been banked. 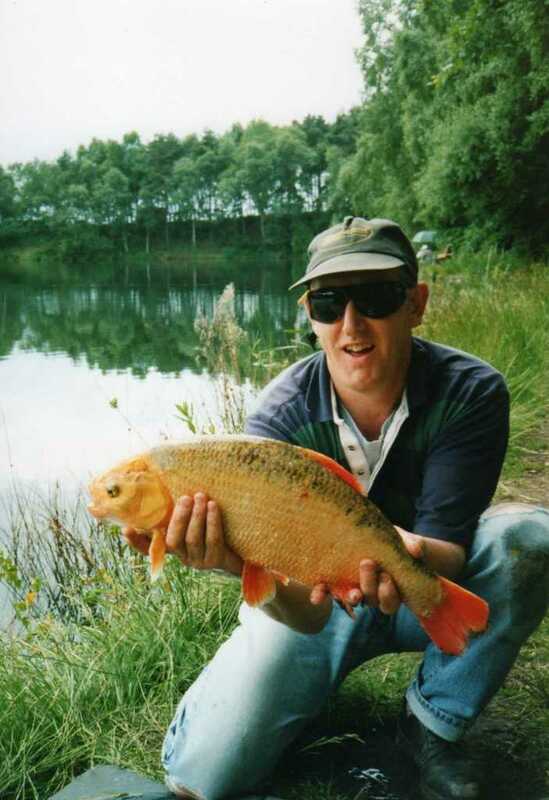 And as a mixed fishery Rudd, Perch and Golden Orfe make regular appearances along with eels, some of which are up to 3lb. are still believed to be present but have evaded capture. The UK Catfish association recognises Grimsditch as a Catfish inhabited water and there were a small number originally stocked in the mid 1980’s. These don’t appear to get caught very often; the last one was caught several years back and weighed 15lb but bigger are believed to be in there.The variety of species present along with the quality and condition of the fish being caught in such an idyllic setting puts Grimsditch Mill Pool up there amongst the best mixed fisheries in the North West. The wildlife is in abundance with Buzzards, Mink and the resident Heron amongst others all putting in an appearance. When we look back in time, this place has taken on a transformation nothing short of staggering. to have originated from and means “earthworks” such as a ridge, banking or mound. 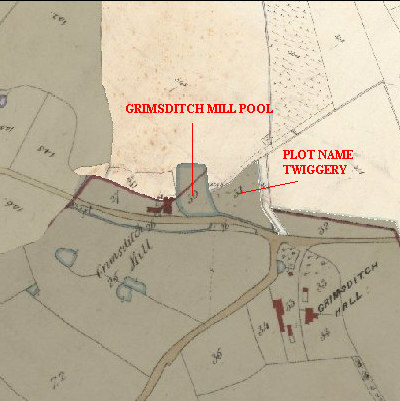 Through the 1300’s and 1400’s the population of the area expanded and with this came the need to bring more of the land around Grimsditch Mill Pool under cultivation. As this land began to yield more cereal crops the need for mills increased and it was around this time that Grimsditch Mill and its pool was created. There were a total of 3 mills in the Whitley area and they were built during the Reign of Henry VII which was from 1485 to 1509. 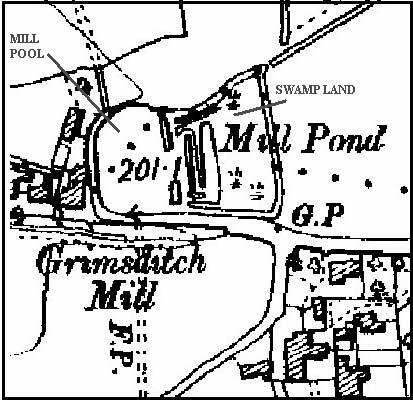 So Grimsditch Mill pool has been around for about 500 years! But nothing like we know it today. It was much smaller back then and the earliest map available that shows it is dated 1847. 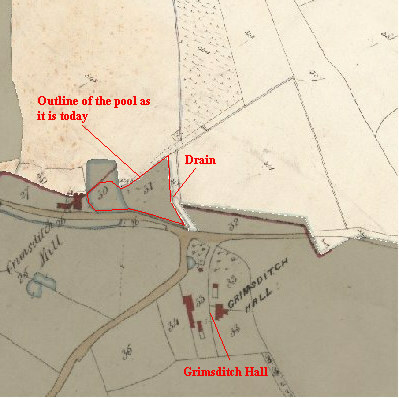 The map dated 1847 is supplied by Cheshire Council and shows a much smaller Mill pool at the car park end. The area next to it, which is now the main part of the pool was called “the twiggery” and was used to grow Rye Grass, Potatoes and Osiers. Osiers were a type of Willow tree used in the art of Wickerwork. 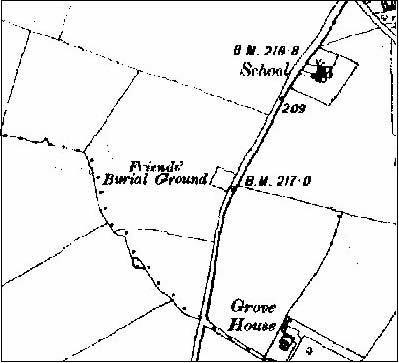 The landowner at that time was a George Jones and he had let the land out to Robert Burrows.The surrounding fields were owned by Thomas Grimsditch, M.P and Mayor of Macclesfield. 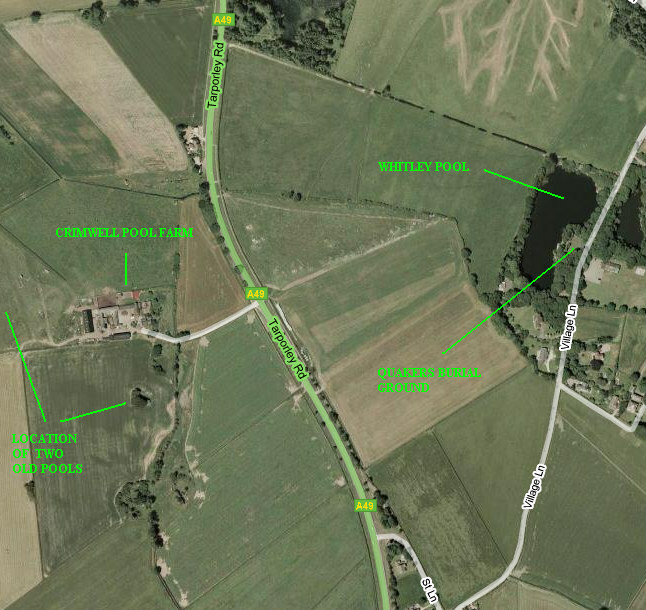 They were called Pool Meadow and Windmill field and were used as pasture land at that time. Incidentally Lewis Carroll the famous children’s writer famous for writing Alice’s adventures in Wonderland and Through the looking glass was born on Morphany lane just past Higher Lane about a mile from the pool and is believed to have visited it as a child sometime around 1840. 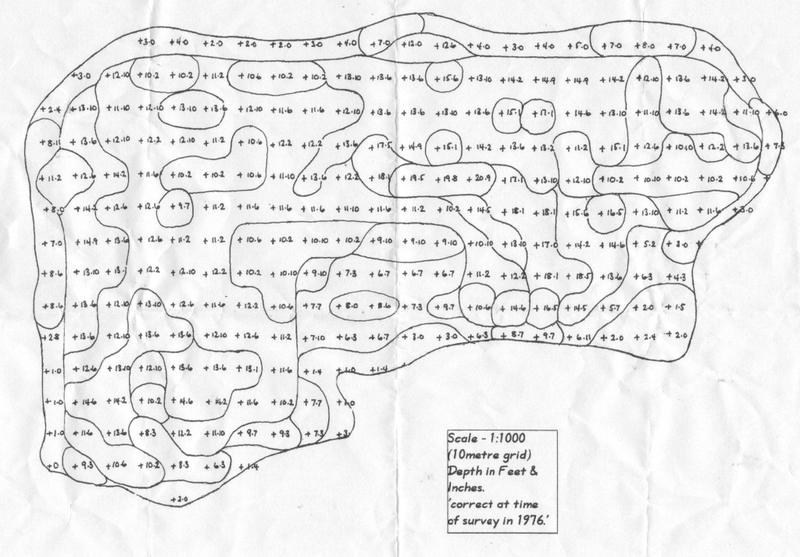 The map below shows the outline of the pool as it is today. It gives some concept to the scale of work undertaken to dig out the “twiggery” in order to create the pool as it is now. A small drainage ditch runs down one side of it to help drain off excess water from the adjacent field. The nearby Grimsditch Hall was built around 1550, sometime after the Mill and a long time after the hamlet of Grimsditch had established itself. The Hall remained in the family of the Grimsditches until 1864 when the trustees of Thomas Grimsditch sold it after his death. Several episodes of Sherlock Holmes were filmed there and I believe they used the pool for a backdrop in one of the episodes! 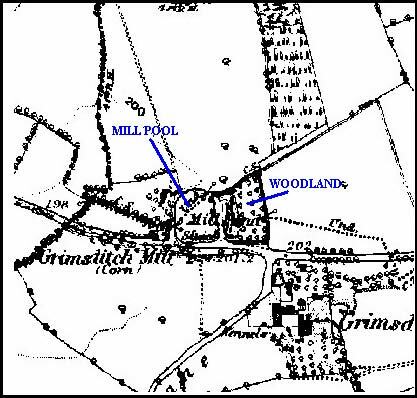 A map from 1875 shows wood land next to the Mill pool. By 1910 this wooded area known as the twiggery had started to turn into swamp land as shown below. 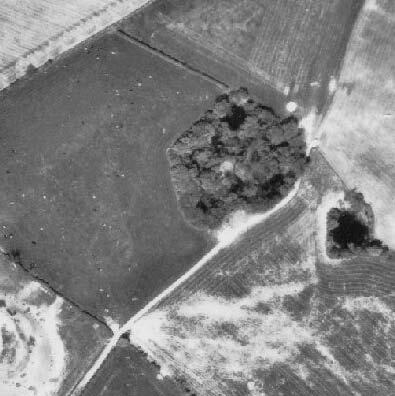 In the 1970’s an aerial photograph of Grimsditch Mill Pool was taken and shows overgrown woodland and swamp. The pool at this point is a completely unrecognisable place. suffocating the pool along with the fish kill of 2002 and associated de-oxygenation issues of recent years it is without doubt a fantastic little fishery with a lot of history and guarantees an enjoyable days fishing. Above: A picture of Grimsditch Mill Pool in the 1980’s and a more recent winter scene below. Written by Jason Webb (Mancman) on 21/09/2009 with thanks to Cheshire Council. Information researched through various Internet sources, Cheshire Guardian Archives and Lymm AC members. 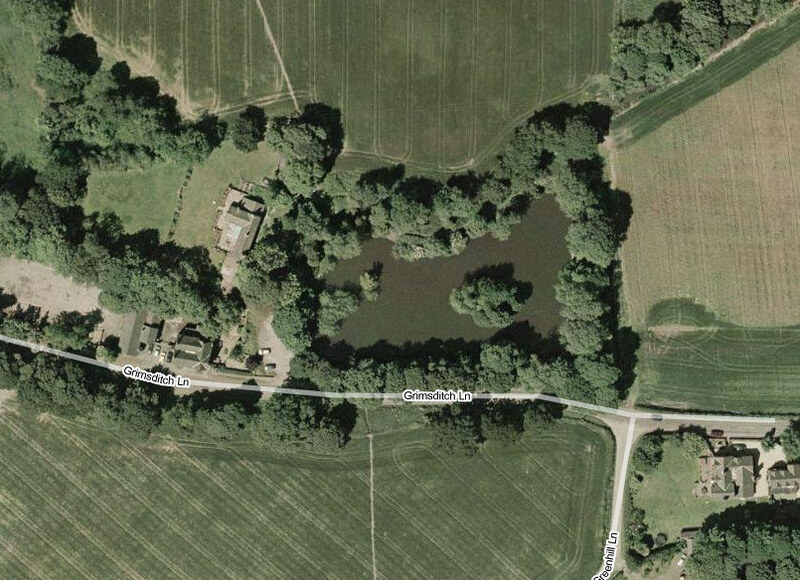 In the early 1970’s Lymm Angling Club purchased an ex-quarry in Whitegate, Cheshire that was run by Lymm stalwart John Stubb’s uncle; Stan Lewis. The purchase was granted aided by the Sports Council whom met half the costs, at the time it was thought to be something of risk as the water was very acidic, too much in fact to support healthy populations of fish, although at the time some perch were present in the water. The water was apparently drained down, the perch removed and then treated with hundreds of tonnes of limestone to adjust the pH, the exercise was successful and the pH was raised to a neutral level of around 7.0 to 7.5, this is where it has remained ever since. 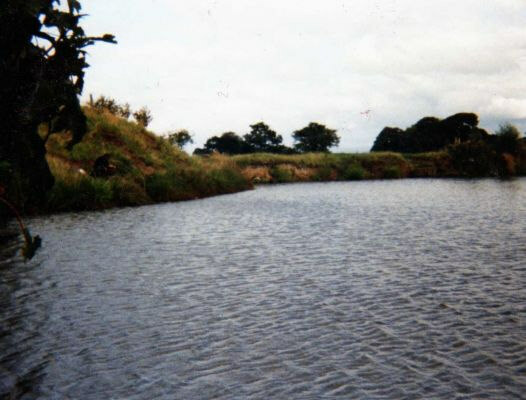 By the time the water received its first fish around 1973/74, which were Trout; as it was used initially as a fly only trout water, it was named Lymmvale. The first coarse fish were stocked around 1974, these were golden orfe, they were stocked as ‘test’ fish as much as anything as they are very susceptible to any change in pH levels and need a neutral pH to survive healthily; which is what they did and went on to make Lymmvale famous throughout the Country for its huge shoals of specimen orfe. You see not only did they survive they soon started to breed successfully and grew at astonishing rates, to the point where the British Record was achieved by the early eighties with several fish reaching the 4lb barrier. Before that ‘The Vale’ received its first stocks of tench, these fish came from a water on the Woburn Abbey Estate around 1976-78 and the water was fished as a coarse water from then on, except in the ‘old closed season’, which is when the water was still fished for trout. In the early eighties ‘The Vale’ received further stockings of tench as well as its first stockings of barbel , chub and a few eels from salmon stretches of rivers like the Teme and Severn; a practice that was allowed in those days by the authorities. Throughout the eighties several more stockings of tench from various sources took place and further smaller stockings of chub and barbel followed too. Such was the success of the orfe by this time the water appeared orange at times as there were simply thousands of them, by the end of the eighties some orfe were easily exceeding the 5lb mark; the Record around 1990 was just shy of 6lb’s. Going back to 1982, this was the year when ‘The Vale’ received its first carp via illegal means. 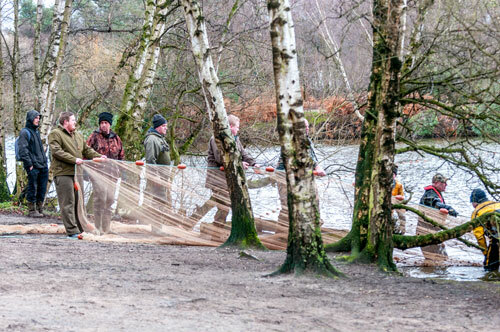 During this year another Lymm water; Whitley Pool was polluted and 11 carp between 15lb & 18lb were rescued and placed in the trout holding nets at Lymmvale. 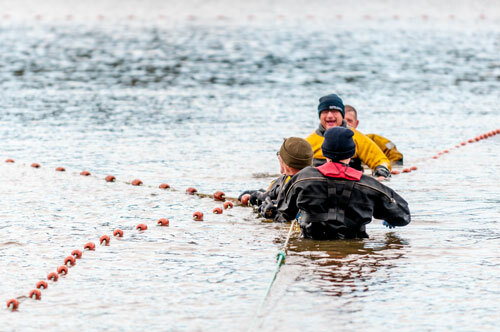 Not long after this a member got the boat out of the boathouse and took it upon himself to free these fish from the nets; he was caught and expelled from the Club receiving a lifetime ban. 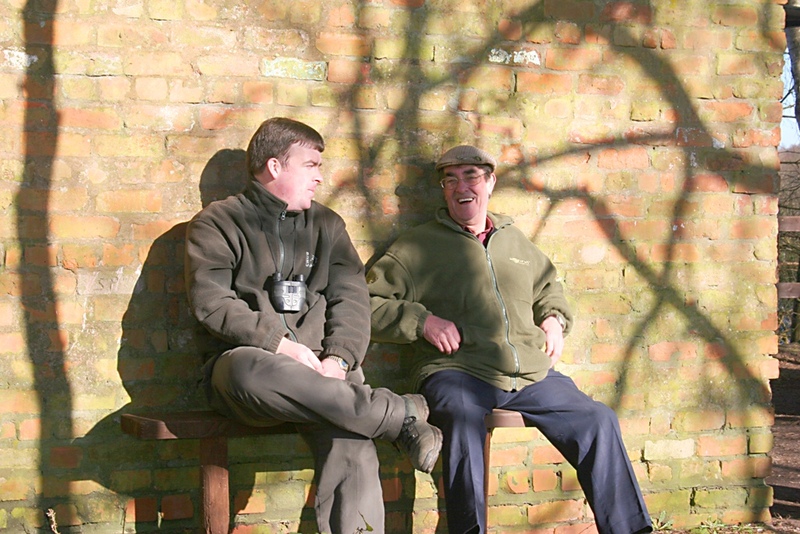 ‘The Vale’ now had its first carp; these fish received no further companions until 1996 when 24 doubles were stocked from Founders Pool, these fish were between 11lb and 14lb and all in pristine condition; three wels catfish of 9lb, 10lb 14oz and 12lb 6oz were stocked at the same time along with four 3lb bream from the same water. Following these stockings around a dozen ghost carp between 2lb and 14lb 10oz were stocked from Horseshoe Pool on the Antrobus Golf Course during the same year. In 1997 approximately 150 small heavily scaled mirror carp were stocked, the survivors of this stocking are now being caught at between 18lb and 26lb+, but this stocking was thought by many to be one stocking too many as far as carp numbers were concerned. 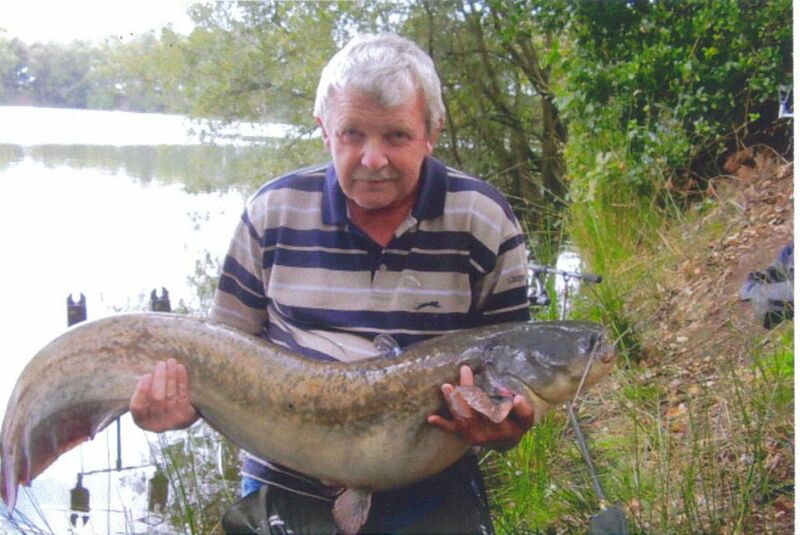 ‘Nessie’ at 22lb 4oz in 2007 sadly no longer with us. 94 1lb to 3lb chub again from Horseshoe Pool in 1994; these fish went on to achieve massive weights of over 7lb and some touching the 8lb mark. 500 further small chub up to 1lb+ were then stocked over a three year period between 2004 and 2007. 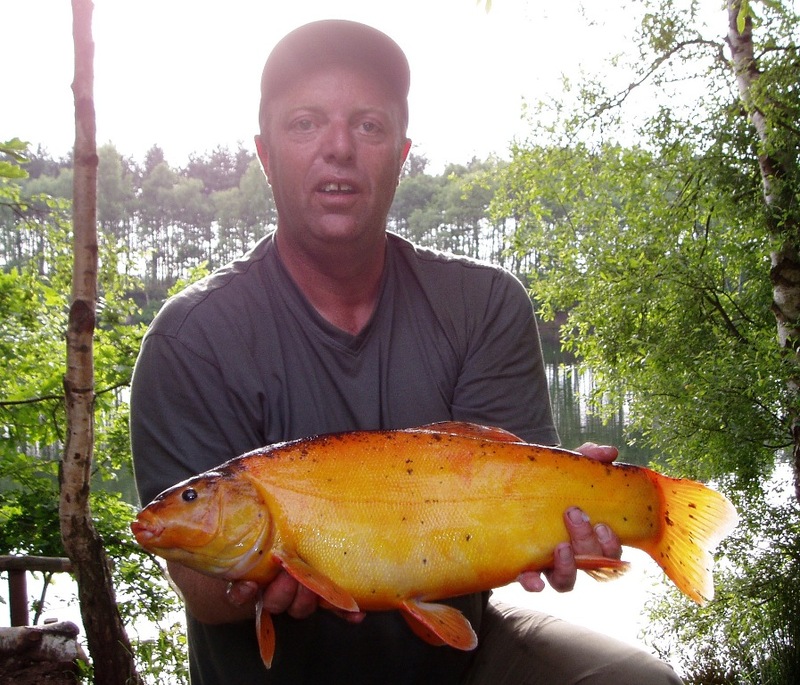 Small numbers of golden tench were stocked sporadically from around 1994 and some of these have grown on impressively, with several specimens exceeding 6lb’s and the largest caught being 8lb 15oz. 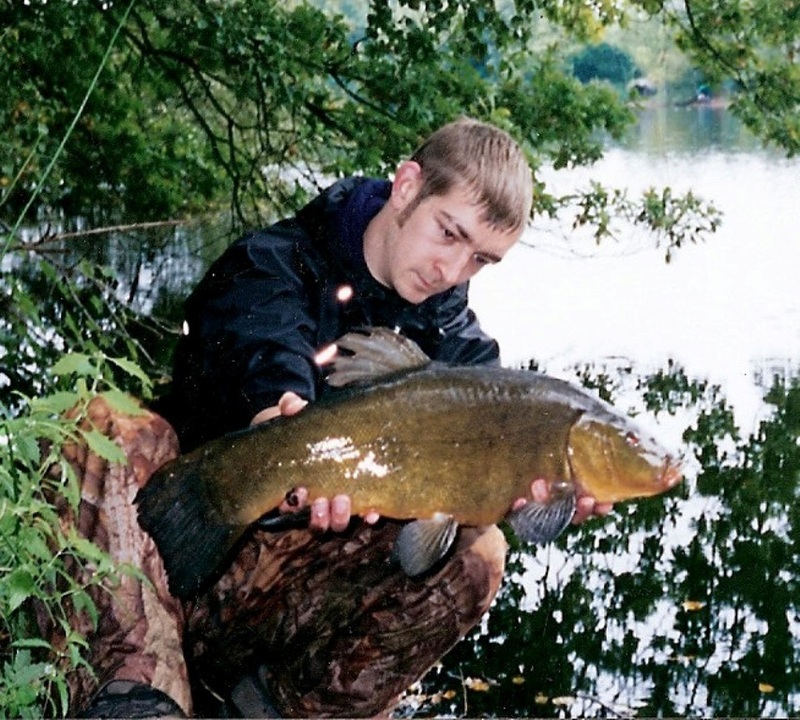 In 1996 approximately 2000-2500 juvenile tench and 100+ rudd were stocked from the Stockpond after a fish rescue operation after low oxygen levels during a very hot summer. 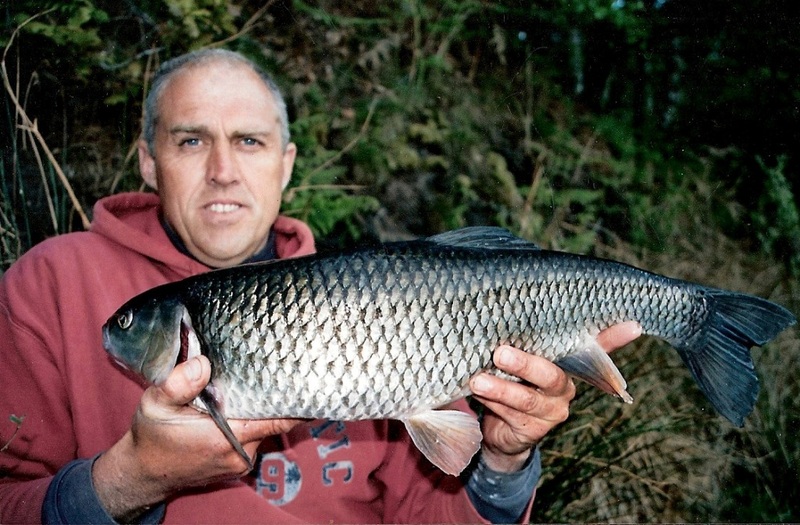 In May 2001 14 large orfe were stocked between weights of 3lb 1oz and 8lb 15oz along with 24 rudd between 1lb 6oz and 2lb 10oz; these fish were from a private water that had never been fished. In December 2006 2 further catfish of 12lb 6oz and 27lb 5oz were stocked from New Pool; a water we have just regained fishing rights for. Even though ‘The Vale’ has long been the Club’s ‘jewel’ it hasn’t been without its problems; in the early nineties the water was decimated by a huge influx of cormorants, hundreds of small orfe and tench to 3lb’s were wiped out, annual catch return totals of 8-10,000 fish a season fell to around 1500-2000 within just a few years. 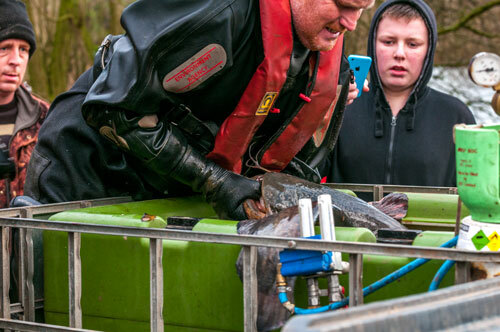 Although this was extremely traumatic at the time, it was the catalyst that turned Lymmvale in to the specimen water it is now, before that it was simply a fantastic pleasure water with the only “specimen” sized fish being the orfe. The annual stockings of trout also held back the growth rates of the fish in Lymmvale, right up to 1998, the large numbers of trout used gorge on the natural food leaving little else for the coarse fish. When those stockings ceased the natural food larder recovered and the growth rates of the fish, in particular the tench and chub improved almost over night so to speak. 2000-2005 were ‘The Vale’s’ glory years, in this time, numbers of huge tench were caught, at its peak there were around 5 or 6 different double figure tench in ‘The Vale’, the biggest caught being 11lb 8oz. 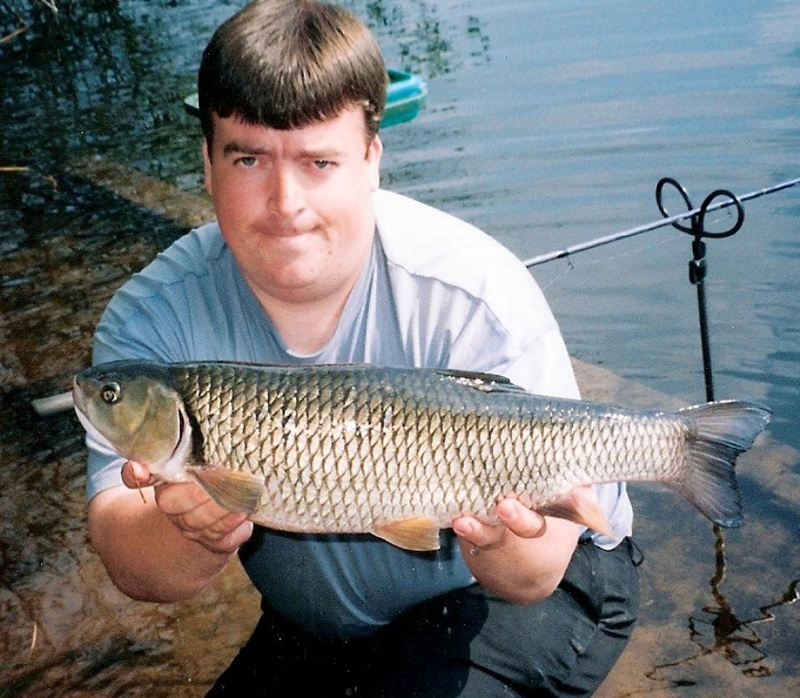 Around 2002-2003 there were huge numbers of massive chub getting caught, one three month spell in 2003 produced no fewer than at least 15 different 7lb+ chub to various regulars targeting them, the biggest caught being the following year at 8lb 1oz. 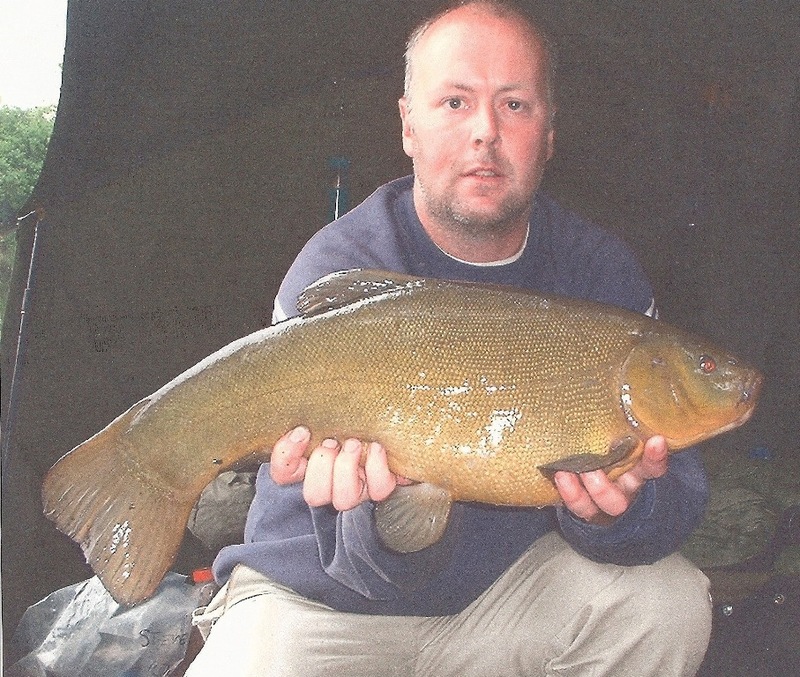 Due to the increase of carp numbers the size of the tench getting caught started to suffer and from 2006 the water began a slow but steady decline; compared to the glory years just experienced. In 2008 the water was dealt a major blow in the way of an outbreak of gill maggot, around 100 quality fish of most species were lost; since then the water had been moody; however in 2010-2011 the water began to fish more like its old self. 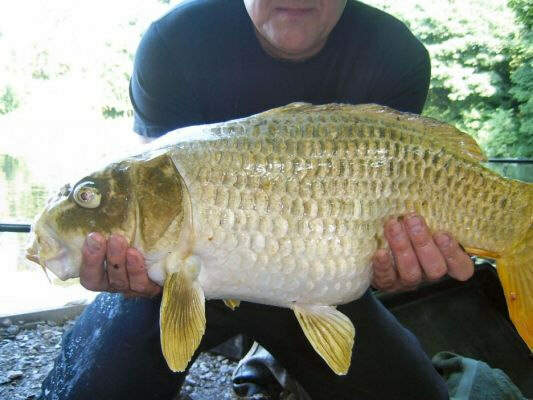 In a bid to address the balance of species and improve the health and growth of the tench approximately 50 double figure carp were removed in 2010 following on from around 10 that were removed before the gill maggot problems. Since these removals the remaining carp have grown on impressively and there have been encouraging numbers of 7-9lb tench caught again, although large catches of tench have been few and far between it looks promising for ‘The Vale’ to once again produce double figure tench. Through all these problems one species that has kept growing regardless has been the catfish, all were at new top weights in 20011; the largest being 62lb 0oz and other two ‘originals’ being caught at 40lb+, 39lb+. 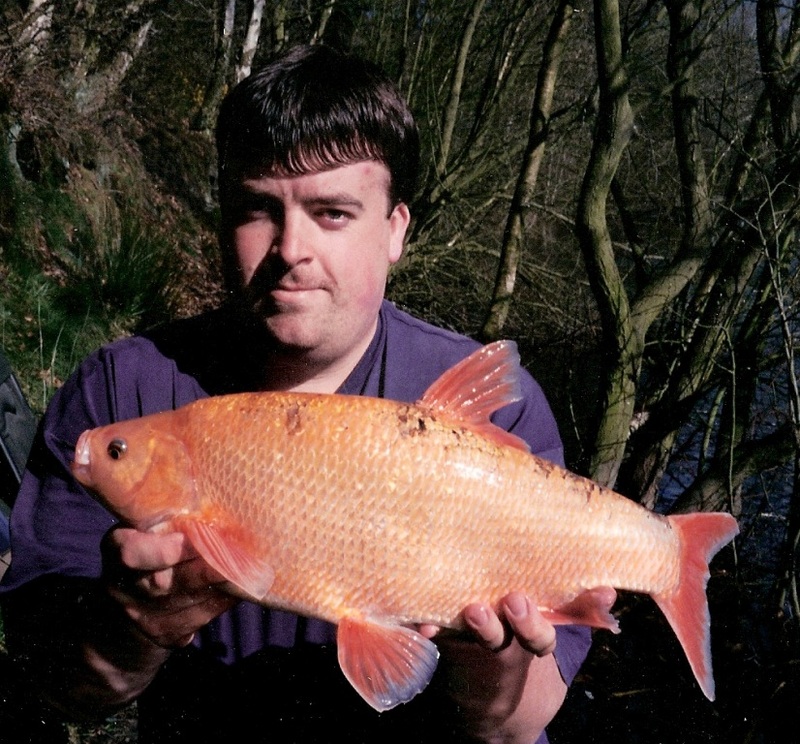 Although on the whole 2011 was a productive year for anglers targeting the Vale it did suffer from a couple of significant losses, two of its famous resident ghost carp; Rocky (top weight 28lb) and Nessie (top weight 27lb) passed away along with a mirror of 26lb+. The water is also currently experiencing low water levels as are many other waters across the county; this has been a contributing factor to the amount of weed growth last year; its something that has occurred before in the Vale’s past and its always returned to normal eventually, fingers crossed that it will again. I am still quite confident that with just a little help from us Lymmvale will once again rediscover those glory years experienced at the beginning of the new millennium, it’s evolved and done it before so I’m certain it can do it again.